The guys at Google know how to make a website load and display quickly. They have spent a lot of time researching how to make web pages load faster and Google Page Speed is a great tool to help you do the same with your own websites. Google Page Speed is an open-source Firefox Add-on which allows you to improve the performance of your website using tried and tested techniques developed by Google. Improving your website display time and performance improves user experience, decreases server load and helps make the web a better, more productive place. 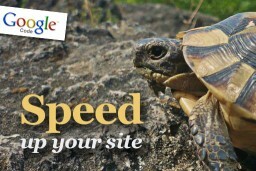 Google Page Speed actually analyzes your website based on best practices and then gives you suggestions on how you can improve your website speed, it even provides optimized images that you can download and use on your site. Page Speed was actually a tool used by Google internally, luckily they created it as a Firefox add-on for us all to use. To install Google Page Speed you’ll actually need to install Firebug first, which is another great tool to help front end developers inspect website HTML and CSS. 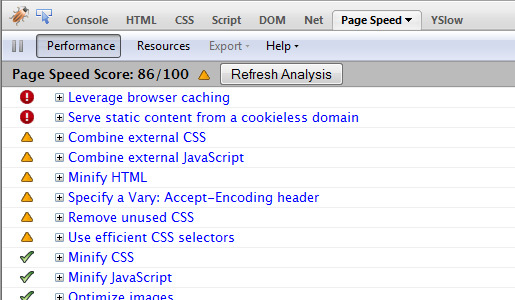 Once you have Firebug installed, simply download Page Speed and start analyzing your site. It’s pretty simple to use, basically all you need to do is right-click on your website, then click “inspect element”. You’ll notice a bar appear at the bottom of the page, just click on the “Page Speed” tab and you’re ready to go! For an alternative to Page Speed you could try YSlow, which is another great Firefox add-on. Pacman Google Game is still available! also gtmetrix.com is easy and good tool.